April 12 & 13, Seep Lakes, WA. The 'gills crowded the shallow coves and took small poppers with abandon. 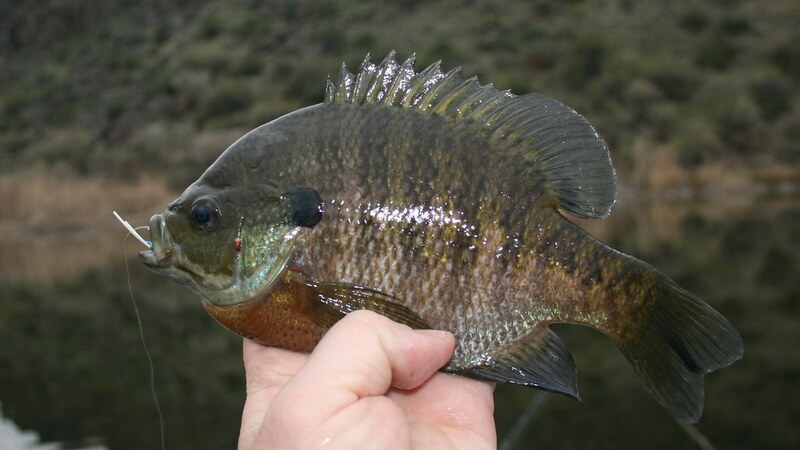 I fished for bass too, catching most of them on a bunny worm and - late in the day - two more on a deer hair bug.